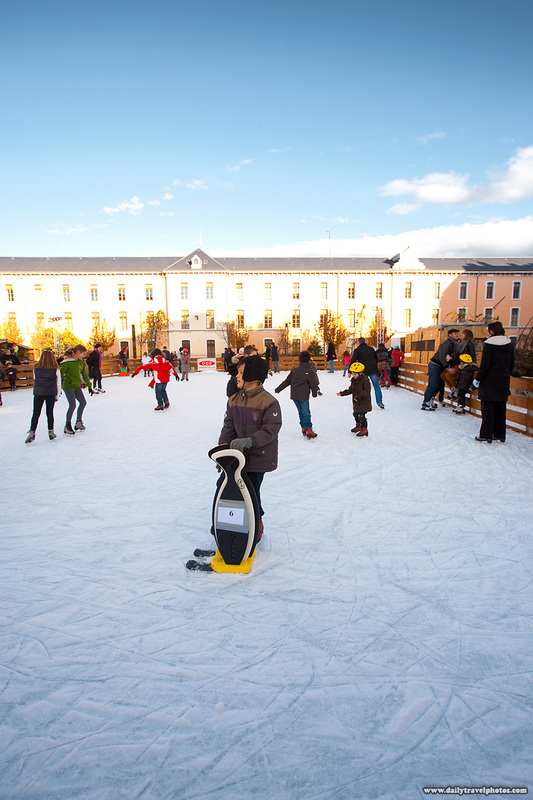 Children enjoy a temporary winter ice skating rink in Annecy, France. And just like that, the clouds cleared up and a gorgeous day was enjoyed by all in the Annecy region. The town hall people really have their stuff together in this mecca for holiday activities. The entire city is equally as full with tourists - mostly Italian - now in winter as it was in summer, enjoying themselves some French flavored Alps.